If you have recently acquired a Goldendoodle and are now in need of a massive list of Goldendoodle names, you’ve come to the right place. We’ve compiled a list of over 250 of the best Goldendoodle names available, refined and created by us just for you and your new Goldie Poo! Whether you’re a novice dog owner or an old pro, picking out your dog’s name is always exciting and fun! It’s part of the bonding process, a moment that really confirms this dog is your dog. But before we dive into all the fun Goldendoodle names we’ve lined up for you, let’s talk about the importance of naming your dog. Picking out the perfect name for your four-legged friend may seem like an easy task, but just wait until you have had that little fluff ball in your arms for a few days! Unless you already have a name picked out, and sometimes even if you do, your dog’s personality, physical appearance, and overall spirit may end up guiding you in a direction you hadn’t planned on going in terms of what you call him. And while this is your dog and his name is totally up to you, there are a few things you may want to consider before taking the leap. Keep in mind that the name you choose for your Goldendoodle puppy is likely going to be the first human word you teach him. And if you have rescued and are renaming an adult Goldendoodle, sorting out his new moniker will be one of the first things the two of you navigate together as a team. 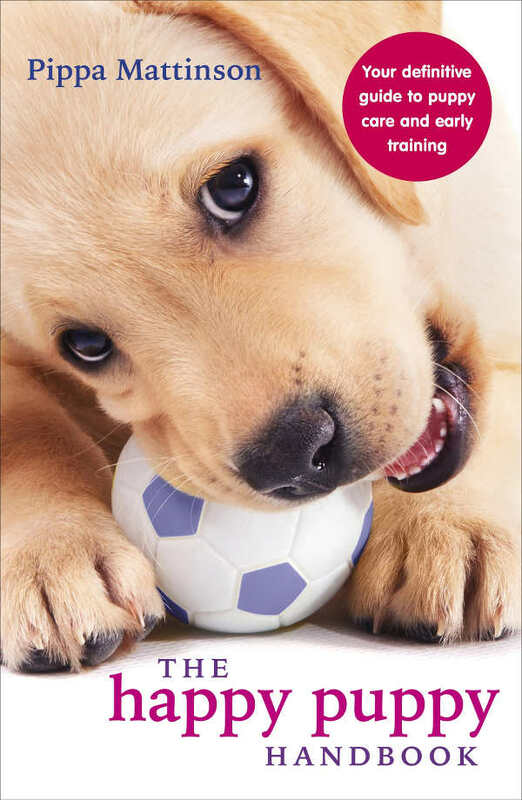 Teaching your dog his name is a part of training, and training is a part of bonding. 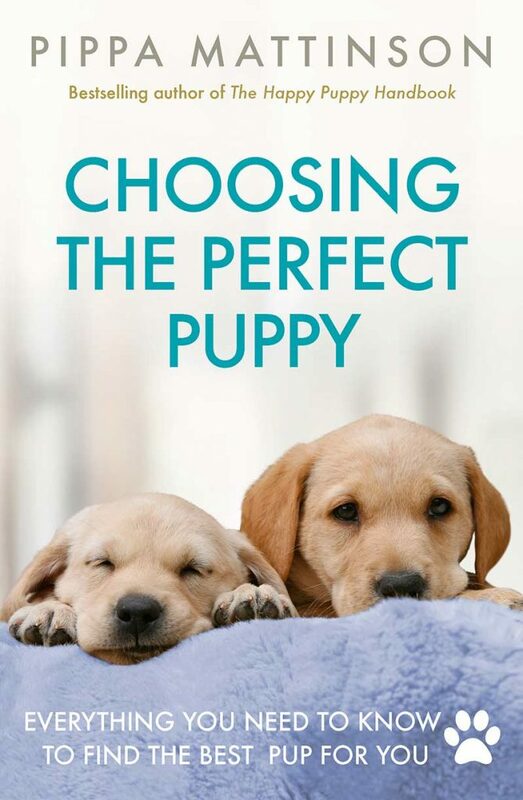 So, remember, whichever name you choose to go with, make sure it is something your Goldendoodle can latch onto easily. 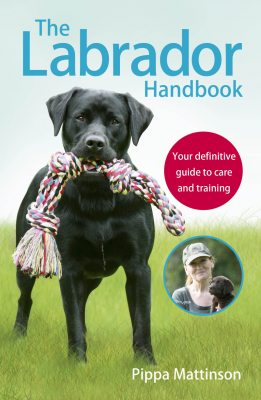 The easier the name, the easier training will be, which will help to keep things fun and simple for you both. Are there any basic ground rules for naming a dog? While there are no real rules, experts do have some ideas about which types of names work best for dogs, and it all comes down to the number of syllables. Most experts have found that dogs seem to latch on best to one and two syllable names like Rex or Lucky. Three syllable names such as Oliver work as well, however, professionals warn against names that go over three-syllables. Names like Alexandra, for example, will be a bit difficult for a dog to remember. But don’t worry. If you have gone your whole life dreaming of having a dog named Alexandra, we’d suggest just giving her a nickname like Lex, Ally, or Alex. It’s all about getting creative! The name you pick out for your Goldendoodle is a name you will be using a lot, both in the privacy of your own home as well as out in public. Be aware that while having a dog named “Pooper Scooper” can be a fun conversation starter or an icebreaker amongst friends, it may also provoke odd looks from strangers while you and your Goldie Poo are out on walks or at the dog park. But hey, if you choose to name your Goldendoodle Pooper Scooper, we won’t judge you. We are just here to offer you a list of over 250 other Goldendoodle names to choose from first! Have you been wondering what Goldendoodle parents before you have chosen to name their Goldie Poo dogs? If you’re uber into trends and are up to date on the latest what’s-what of the world, then this is the list for you! Behold, the top 20 most popular Goldendoodle names of this year! Trends are fun, but they’re not for everyone. If you want a one-of-a-kind name for your one-of-a-kind Goldendoodle, then you need to check out these rare and unique Goldendoodle names. Not only are they different, but many of them are fun to say! We are willing to bet you won’t be hearing any of these names at the dog park. Need a bigger selection of unique Goldendoodle names to choose from? Then check out our complete list of unique dog names here! Is your Goldendoodle a golden princess? Could you tell from the moment you laid eyes on her that she was a she? Do you bedazzle her in bows and pink collars and glittery things? Then we have a super sparkly list you’re going to love! Check out our favorite girly Goldendoodle names below. If you need more fierce female Goldendoodle names to choose from, visit us here! Perhaps your Goldie Poo is a gentleman through and through? Is he into all things boy and needs a super masculine name to suit his very manly personality? Then this list of male Goldendoodle names is just the ticket! For even more male names for your manly Goldendoodle, click right here! If you’re into names that keep people on their toes and don’t put your Goldie Poo in a gender box, then this list is going to be right up your alley. Below are twenty perfect unisex Goldendoodle names to choose from! Is your Goldendoodle the hippest of the litter? Does every dog want to be his friend? Does he have a crazy amount of swag? Then he deserves a totally rad name. Check out this list of way too cool Goldendoodle names just for him! For more incredibly cool Goldendoodle names, click here! If your Goldie Poo is the canine Einstein of his generation, then it is imperative his name live up to his brain. Here is the perfect list of intelligent sounding Goldendoodle names for that brainy dog of yours! If there is one thing your Goldendoodle loves almost as much as you, it’s food. That’s right, this list of Goldendoodle names is perfectly suited for those Goldie Poos and their owners who love to plan their lives around their meals. Feast your eyes on these delicious Goldendoodle names for foodies! Love alliterations? Are you into Poodles named Pier and Labradors named Leo? Then you’ll love these great Goldendoodle names that begin with the letter G! Anyone who has seen a Goldendoodle knows they are cute. Cuteness is practically a part of the crossbreed, right? 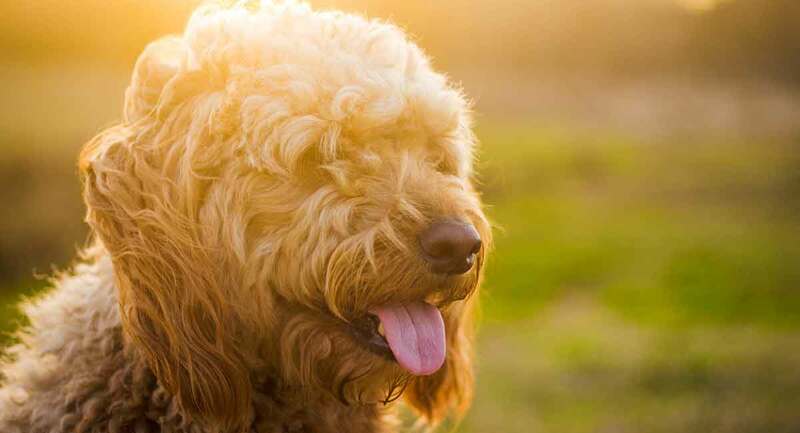 So, if you’re on the hunt for a name as adorable as that curly cutie of yours, you won’t be able to resist this list of adorable Goldendoodle names! Do you need an even larger list of cute Goldendoodle names? Maybe you’re looking for some mini Goldendoodle names perfect for that tiny Goldie Poo who has stolen your heart? If so, visit us here! So yes, Goldie Poo dogs are cute, but they are also full of personality! These curly comedians keep their owners laughing from dawn till dusk! If this perfectly describes your Goldendoodle, then you should definitely check out this list of hilarious and ironic Goldendoodle names. Goldendoodle dogs come in a few colors and sizes. Do you need a name that perfectly describes your unique looking Goldie Poo? Whether you need black Goldendoodle names, red Goldendoodle names, or just regular gold Goldendoodle names, this is the list for you! Your Goldendoodle is a star, even if the rest of the world doesn’t know it yet! If he’s got the whole package and basically deserves his own star on the Hollywood Walk of Fame, then these fame-inspired Goldendoodle names were simply made for him! How Long Will It Take For My Goldendoodle to Learn His Name? You’ve chosen the perfect name for your Goldie Poo! Now what? Don’t worry, teaching your Goldendoodle his name is easy, and there are really only a few things you’ll need; treats, time, and patience. Like other kinds of training, teaching your Goldendoodle his name is going to take a bit of time. 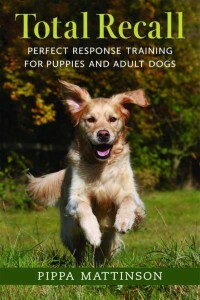 Luckily, Goldendoodle dogs are a cross between two incredibly intelligent breeds, making training a breeze! Once you’ve gone through your long list of Goldendoodle names and selected the perfect one for you and your Goldie Poo, the next step is repetition and positive reinforcement. You can start in a quiet place free of distractions and get your Goldie Poo’s attention. Start by calling his name, and when he looks at you, praise him and give him a treat. Repeat this practice several times a day for five to ten minutes each time. In general, dogs will usually pick up their names within two days. However, seeing results from name training can take up to a week, so don’t give up if it takes a little longer! The most important thing you can do when teaching your Goldie Poo his name is to be sure and only use his name in a positive way. Remember, you want your Goldendoodle to come when he hears his name, and if you use his name to scold him while he is still learning it, he could begin to associate it with something negative. And if your Goldie Poo associates his name with something negative, he is much less likely to respond to it the way you want him to. Now don’t worry if you still haven’t found the perfect Goldendoodle name. We’ve got plenty more for you right here. Are you the proud owner of a Goldendoodle with a perfect name? Tell us in the comments! Emanuela Prato-Previde, Deborah Mary Custance, Catrina Spiezio, Francesca Sabatini, Is the Dog-Human Relationship an Attachment Bond? An Observational Study Using Ainsworth’s Strange Situation, Behaviour. I’m getting my male Goldendoodle in six weeks. I’m planning on naming him “Doodle”. Figured it matched his breed and was a fun loving name. I have an 8 yr old all black golden doodle named Cammo short for camouflage. At yes ago the teen for golden doodles were all the light colors so my dog needed to blend in. I think it’s the best name ever for the best boy ever! !